Do You Use Your Vote? 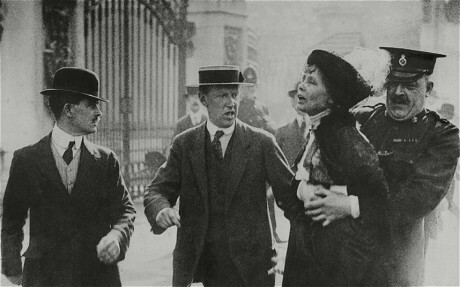 Above, Emmeline Pankhurst being arrested by police as she protests at women not having the vote. This is why I have voted in every single election I have ever had the right to. P.S. RenewYou is my one day personal development for programme for women, licensed to excellent trainers across the world. Check out your nearest one. absolutely ! did you know women were invited for the first time to vote in Italy in 1946 and were expressly asked to turn up at the polling stations without wearing lipstick! I always vote and from now on I shall make sure I wear my reddest lipstick on the day ! The ‘no lipstick’ thing is a hoot. What did they think would happen? I will wear it too, in solidarity!